From 15 December 2018 on the EYE Film Museum will showcase their new exhibition: Jan Švankmajer – The Alchemical Wedding. The works of the master animator and surrealist artist from Prague are known to be full of horror, obsession and eroticism. With his films and artpieces he brings everything and anything to live, making it all the more intriguing to look at. 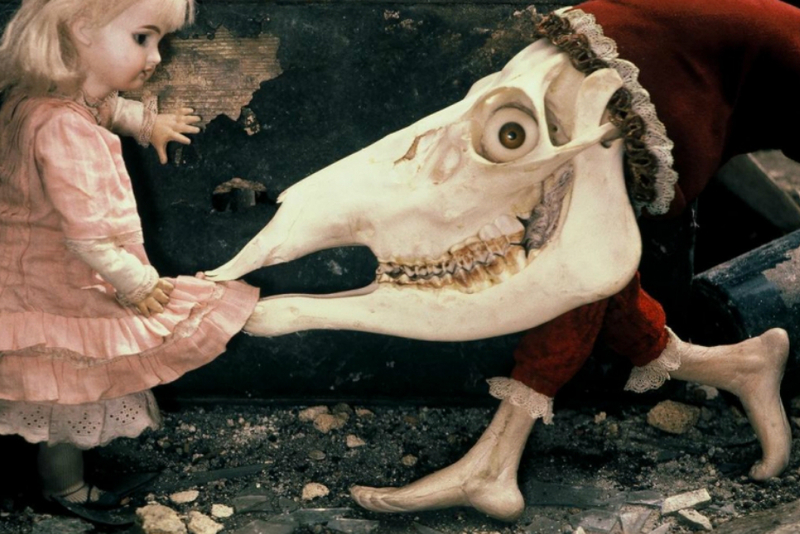 The Alchemical Wedding is the first big showcase of Jan Švankmajer work in the Netherlands. Besides showing his films, the museum has a large collection of his remarkable objects, prints and collages and will host a number of events around the exhibition that will run until 3 March 2019. Jan Švankmajer was born in Prague and studied arts at the School of Applied Arts and the Academy of Performing Arts. Over the years he developed a love for stop-motion and animated film. In his works he’s constantly experimenting with puppetry, animation and other film techniques and with this he has brought new life into the genre. Monday - Sunday 10:00 a.m. - 7:00 p.m.